We rely on the support of generous individuals to fund our ongoing efforts to protect and preserve irreplaceable treasures in the Boston Public Library. We've made significant progress, providing a consistent source of private support to aid conservation, digitization, and more. Thousands irreplaceable literary, artistic, historical, and cultural resources in the Boston Public Library's Special Collections need urgent attention before they are beyond repair. Acidic paper, environment pollutants, and improper storage are just some of the elements that threaten to turn our shared history into dust. 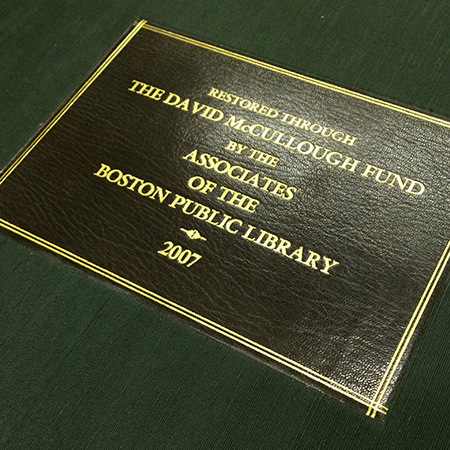 The David McCullough Conservation Fund was established in 2001, to provide a consistent source of funding for the restoration and preservation of the BPL’s Special Collections. 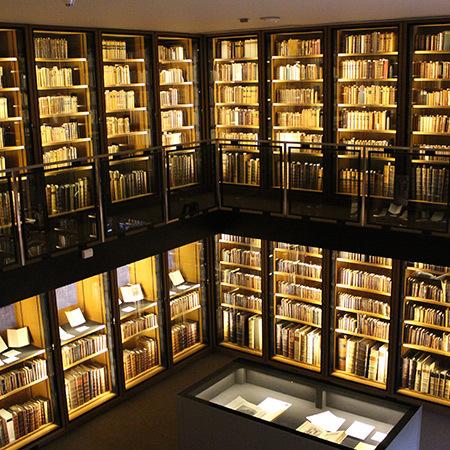 The fund is dedicated to the conservation, cataloging, digitization, and exhibition of the Library’s historic, literary, and cultural treasures. 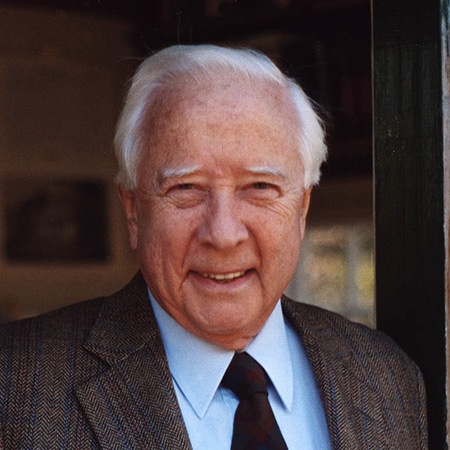 Named after historian David McCullough, who during his tenure as a Boston Public Library Trustee (1995-2000), became convinced of the growing need to conserve the Library's many irreplaceable treasures. Not so incidentally, McCullough made extensive use of the Library's Special Collections while writing his Pulitzer Prize-winning biography John Adams published in 2001 and subsequently 1776, published in 2005. 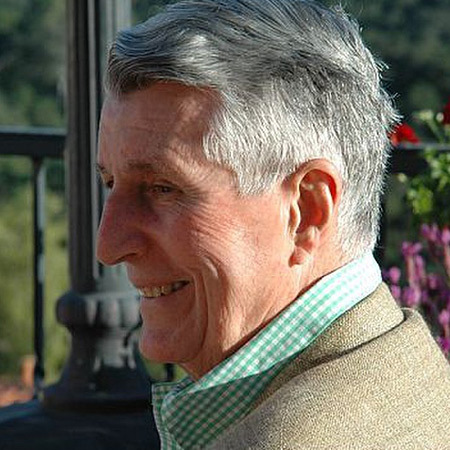 To this day, McCullough is a strong advocate for preservation and for our work. 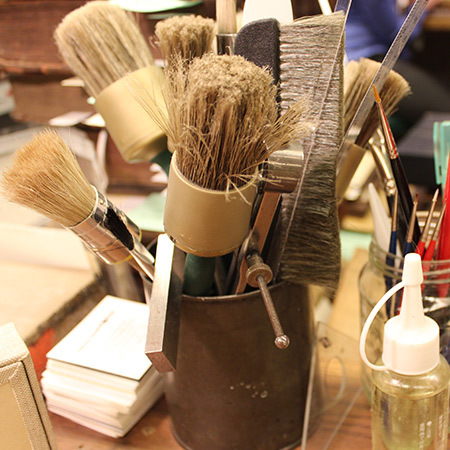 The William O. Taylor Art Preservation Fund was created in 2010 to honor Bill's many years of service and generosity to the BPL. In addition to serving as a BPL Trustee from 1990-2006, Bill also headed the Trustee Collections Committee (now the Special Collections Committee). He, like McCullough, was a passionate advocate for the preservation of the BPL's most important historic and artistic holdings. As the publisher of the Boston Globe, Bill had a particular interest in photographs documenting the city's people, politics, architecture, history, and changing landscape. 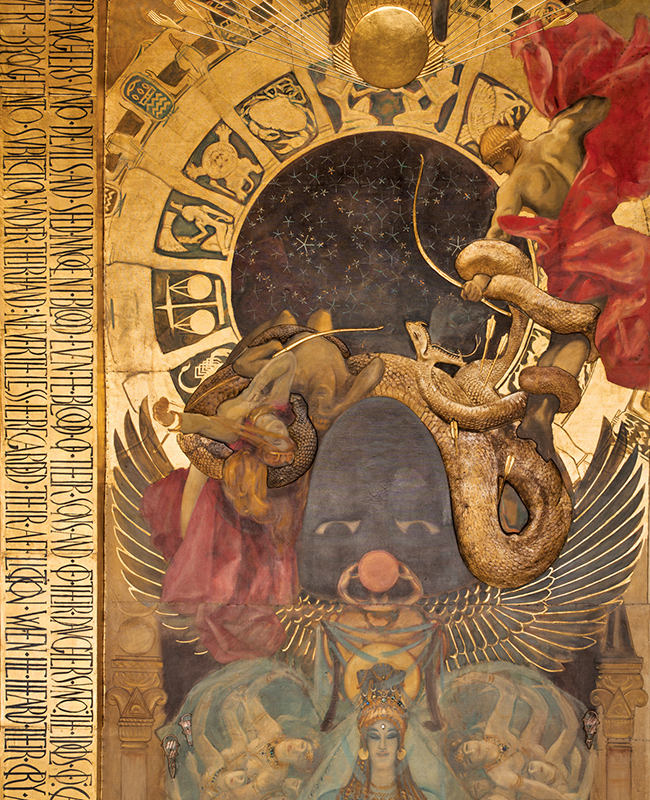 He was also an ardent admirer of art in all its forms, and artists, especially those who had been inspired by New England, and whose careers had been nurtured by Boston patrons, galleries and institutions. 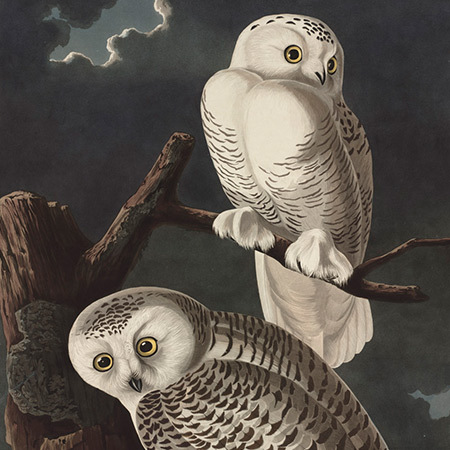 Accordingly, the Associates Taylor Fund is dedicated to conserving, cataloging, digitizing, and exhibiting the BPL’s collections of prints, drawings, photographs, and works of art. The Associates’ endowment fund exists to ensure that preservation activities can continue at the Boston Public Library in perpetuity. Your tax-deductible donation helps underwrite cataloging, repair, restoration, digitization, and exhibition of manuscripts, rare books, historical items, works of art, and much more. Contributions of all levels are welcome and appreciated. Membership dues help to support conservation, digitization, special programming, the Associates office, and more. Please consider becoming a member of the Associates.